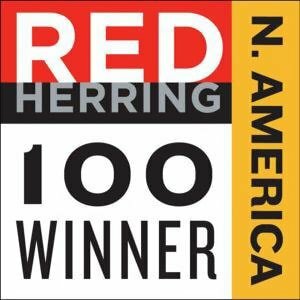 June 14, 2017, Los Angeles, U.S.
Red Herring today announced the winners of its Top 100 North America 2017 event, recognizing the continent™s most exciting and innovative private technology companies. Red Herring™s editors have been evaluating the world™s startups and tech companies for over two decades. It gives them the ability to see through the industry™s hype to pick firms that will continue on a trajectory to success. Brands such as Alibaba, Google, Kakao, Skype, Spotify, Twitter and YouTube have all been singled out in Red Herring™s storied history. 2017™s crop of Top 100 winners has been among our most intriguing yet, said Vieux. North America has led the way in tech for so many years, and to see such unique, pioneering entrepreneurs and companies here in California, which is in many ways the heartland of the industry, has been a thrilling experience. What has excited me most is to see so many people forging niches in high-tech and cutting edge sectors, added Vieux. Some of the technical wizardry and first-rate business models showcased here at the conference has been fantastic to learn about. We believe PenBlade embodies the drive, skill and passion on which tech thrives. 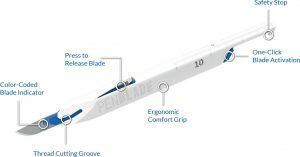 PenBlade should be proud of its achievement as the competition was incredibly strong. Following PenBlade™s Top 100 win, they are invited to the next step, which is to present themselves at the Top 100 Global event in November that will encompass the best-in-show from the Top 100 Europe, North America, and Asia. Red Herring is dedicated to support PenBlade™s continued path to success and innovation.